ABB, a world leader in energy and automation technologies, celebrated the official inauguration of its new high-tech Measurement & Analytics facility in Quebec City recently in the presence of Jacques Daoust, Minister of the Economy, Innovation and Exports, Régis Labeaume, Mayor of Quebec City, and Nathalie Pilon, the newly appointed President and Chief Executive Officer of ABB Canada. The new 85,000-square-foot facility is located in the Espace d'innovation Michelet, a next-generation technological park in Quebec City, and represents a $20M investment. The building is LEED-certified, aligning with ABB's commitment to sustainable development. This project was executed in cooperation with Groupe Commercial AMT and Quebec City. "This important investment reinforces our commitment to maintain best-in-class facilities in Canada so that we are able to offer our manufacturing and industry customers high-quality products and services as well as sustainable solutions with regard to safety, energy efficiency and productivity," said Pilon. This centre of excellence, which is dedicated to the manufacturing and research and development of analytical instruments and level measurement products, will serve various industrial markets. It reconfirms the importance that ABB places on investing locally in order to support its growth worldwide as a manufacturer and supplier of high-performance measurement products and a leader in the execution of engineering contracts. "Technological innovators like ABB actively contribute to the economic development of Quebec," said Daoust. "Their local engineering know-how and their ability to establish industrial capacity are central to global growth." ABB's Measurement and Analytics business unit was recently recognized as the as the best in Operational Excellence performance in 2015. The technology developed by ABB's teams is highly relevant for industries and economies that are concerned with safety, energy efficiency and productivity, as well as the monitoring of emissions related to climate change. ABB produces advanced measurement systems that monitor gases emitted by industrial facilities that can impact air quality. These systems also provide customers with reliable data that, in turn, enable them to perform their activities productively while reducing their environmental impact. "More than ever, citizens, political representatives and companies are looking for sustainability," said Labeaume. "We are proud that ABB chose to establish a world-class centre of excellence in our city." ABB's Measurement & Analytics business unit is among the world's leading manufacturers and suppliers of instrumentation and analyzers, with thousands of experts around the world and high-performance technology, ABB's team is dedicated to making measurement easy for its customers. ABB is a leader in energy and automation technologies, allowing public services as well as industry, transport and infrastructure clients to improve their performance while reducing their impact on the environment. The ABB Group of companies operates in roughly 100 countries and employs about 140,000 people. 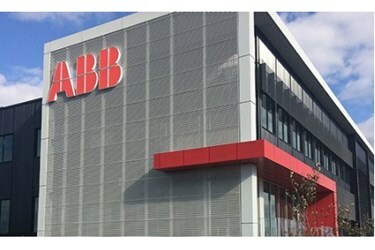 For more information, visit http://www.abb.com/.